Genießen Sie die Qualität in einem zentral gelegenen, gemütlich entspannenden Zuhause. Townsmart ist eine große, helle und luftige 3-Zimmer-Wohnung, die direkt im Zentrum der Stadt liegt. Es gibt einen wunderschönen Park auf der anderen Straßenseite und Geschäfte, zahlreiche Restaurants, Cafes, Pubs etc. sind nur einen kurzen Spaziergang entfernt. Alle Schlafzimmer haben begehbare Kleider. Hauptschlafzimmer hat geräumiges ensuite. Hauptbadezimmer ist groß mit einem riesigen Spa. Free Wifi und hochwertige Geräte in entspannter Atmosphäre. Wir wollen, dass ihr eure Füße hochzieht, entspannt und euren Aufenthalt genießt. Freuen Sie sich auf Hochstühle, Kinderbetten etc. auf Anfrage. Wir begrüßen Kurz- und Langzeitgäste. Jedes Zimmer hat einen Studienbereich, also wenn Sie in Armidale für Arbeit sind, machen wir es einfach. Perfekt für Profis, Gruppen von Freunden, Familien oder Einzelpersonen. Main BR hat ein großes Bad. Das Hauptbadezimmer ist groß und verfügt über einen Wellnessbereich. Zusätzliche separate Toilette. Beautifully decorated. Comfortable. Great location. Bargain for what you get. Nice unit but aircon not working. Was very uncomfortable in the heat.bedding amazing. No balcony to sit out on but beautiful park opposite unit. Was bit expensive for what you got. A/c does appear to be working....not sure what the problem may have been. Apologies. It must have been ghastly with no a/c. I do wish you had called so it could have been sorted. Alas! No balcony...but none was promised. We’d welcome you back at any time. Very comfortable stay, little extras like fresh milk and some cooking basics make all the difference. Beautifully styled and very clean apartment! Thank you. We’d welcome you back at any time. Generously proportioned apartment in a central location. 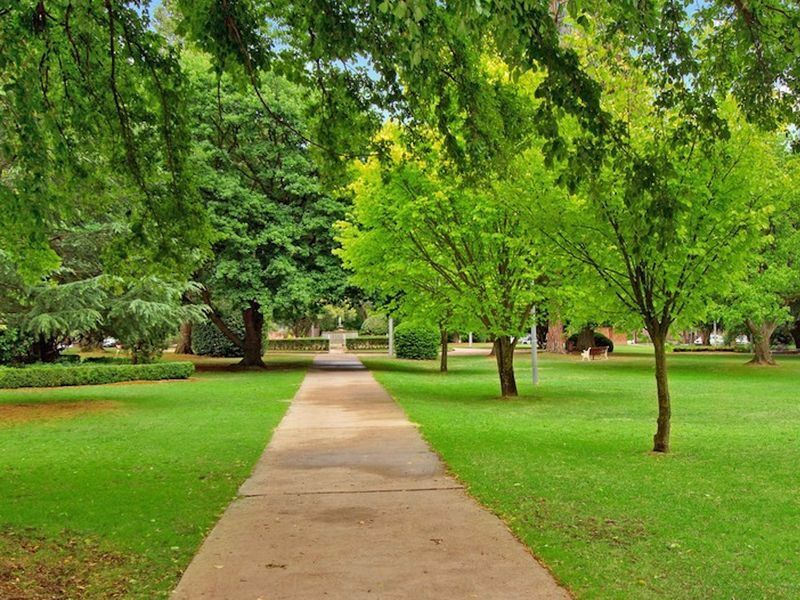 The apartment is centrally located with gorgeous views of & easy access to Armidale's heritage listed Central Park. The rooms are generously proportioned with plenty of space but I would not recommend a summer stay. The aircon is not sufficient for the size of the apartment & there is very limited ventilation throughout the apartment but especially in the 2nd & 3rd bedrooms making sleeping difficult. More attention to detail with regards to cleaning would make a big difference with a lot of dishes requiring re-washing before use & floors under furniture appearing to not being cleaned regularly. The provision of a single dishwasher tablet for a 4 night stay & two tissue boxes with a single tissue stuck in the top of the box was disappointing. However the quality of the linen throughout the apartment was superb. Armidale is a beautiful city & this apartment has lots of positive features, just needs a little more care & thought. So sorry to hear your stay was disappointing. It has been an unseasonably hot few weeks in Armidale. In past years the a/c has been more than adequate...but not this year. Sincere apologies for this. We have ordered an additional unit, and are awaiting it's arrival. Unfortunately this does not help you. With respect to your other comments, I am surprised. We always get very positive comments about the level of cleanliness. We also have a healthy supply of consumables (eg. tissues, toilet paper, dishwasher tablets, bin liners, etc) on the top shelf of the pantry. I am sorry you did not find these. We would love to have you stay again, possibly at a kinder time of year. The property is extremely well appointed and ideally located. Ania and Chrissie went above and beyond to ensure that our stay was a good one. I would highly recommend this place for your next stay in Armidale. Thanks Nicky. We'd welcome you back at any time. Well set out unit, kids loved the spa bath! Thanks Kylie & family. We’d love to have you back at any time.